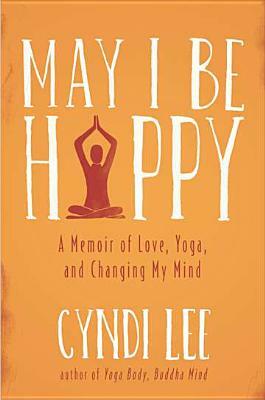 In the candid, contemplative memoir "May I Be Happy," revered yoga teacher Cyndi Lee gives readers an unforgettable gift: the ability to focus on our experiences as we have them, on the way to a lighter life. For all her wisdom as a teacher, Cyndi Lee founder of New York's world renowned OM yoga Center understood intuitively that she still had a lot to learn. In spite of her success in physically demanding professions dancer, choreographer, and yoga teacher Lee was caught in a lifelong cycle of repetitive self-judgment about her body. Instead of the radical contentment expected in international yoga teachers, she realized that hating her body was a form of suffering, which was infecting her closest relationships including her relationship to herself. Inspired by the honesty and vulnerability of her students, Lee embarked on a journey of self-discovery that led her outward from the sacred sites of the parched Indian countryside to the center of the 2011 earthquake in Japan and inward, to seek the counsel of wise women, friends and strangers both. Applying the ancient Buddhist practice of loving-kindness meditation to herself, Lee learned that compassion is the only antidote to hatred, thereby healing her heart and changing her mind. With prose as agile as the yoga sequences she creates, "May I Be Happy "gives voice to Lee's belief that every life arises, abides, and ultimately dissolves. By becoming her own best student, Lee internalizes the strength, stability, and clarity she imparts in her Buddhist-inspired yoga classes. Cyndi Lee founded the internationally renowned OMyoga Center in New York City in 1998. She is the author of several books on yoga, including "Yoga Body," "Buddha Mind," and is a regular contributor to "Yoga Journal." Lee and OM yoga have been featured on national television and in print. She lives in New York City."